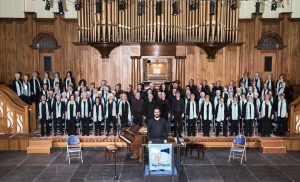 If you can sing, if you enjoy singing, whether you have sung in a choir before or not, we are happy to welcome you to join us. It is very helpful if you can read some music, but not essential. Rehearsals are held on Tuesday evenings between 7.30 and 9.30 p.m. in Ayr Community Church Hall, 59 John Street, Ayr KA8 0BS. (entry through side door and parking available on street or in rear car park). 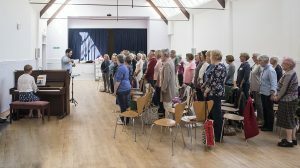 We rehearse weekly between August and April with additional rehearsals on a concert weekend. Other additional rehearsals are arranged as necessary. Members pay an annual subscription agreed annually at the AGM.